Croydon’s new bar, offering customers prosecco on tap, craft ales and a fine art collection on the walls. Art & Craft, in Surrey Street, opened for business on April 18. 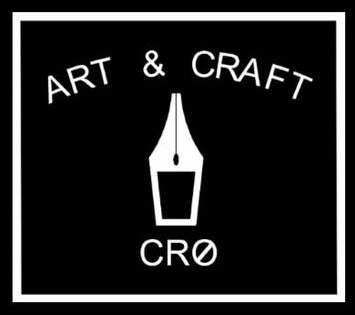 At the Croydon bar – Art & Craft CRO – customers will be able to admire an impressive display of art, which includes a genuine Banksy piece, Monkey Queen. There will also be work by the artist Lucus Price, alongside work by lesser known local artists. We offer a complete and comprehensive service in the design and consultancy of all fire limiting, suppression and detection systems throughout the United Kingdom, Central Europe, Middle East and North Africa. Our capabilities cover the full selection of systems and applications ranging from manufacturing, chemical process, industrial, Oil and Gas terminal and refinery facilities to commercial offices, pharmaceutical plants, bulk storage facilities and Military Authorities. Systems are designed and engineered to meet with the specific requirements of the Loss Prevention Council, Factory Mutual Global Insurers, the National Fire Protection Association, the British Institute of Petroleum and the American Petroleum Institute. With nearly 400 pubs, bars, hotels and inns, we have a variety of places to eat, drink, sleep and entertain. Using the very latest in digital printing equipment NXP Europe offers an unbeatable range of products and services for the individual, small business, agency or corporation. With over 200 years of printing experience between them, the senior management team has a wealth of knowledge and expertise. We want to push the envelope of digital printing and no job is too small or too strange. Quite frankly if we can’t do it, then no one can. So, whether its something as simple as a business card, or something as complex as a 3D dinosaur, NXP Europe is ready for the challenge.